Spalding Academy Catholic School has been educating students for over 100 years both academically and spiritually. Graduates of Spalding Academy enter the "world" with skills necessary to succeed in college, workforce, community and Church. We continue to focus on the charisms of the Dominican Sisters who came to Spalding Academy in 1901: prayer, study, service and community. Graduates of Spalding Academy Catholic School have continued on from high school to become successful Priests, Sisters, Doctors, Lawyers, Farmers, Manufacturers, Engineers (structural, mechanical, computer...), Entrepreneurs, Fabricators, Mechanics, Accountants, Aviators, Professional Development Directors, and so much more. 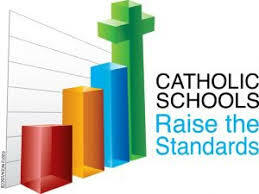 Spalding Academy Catholic School teaches for success!